One of the advantages of being in a mountaineering club is access to the many club huts sited in strategic mountain locations across Scotland. 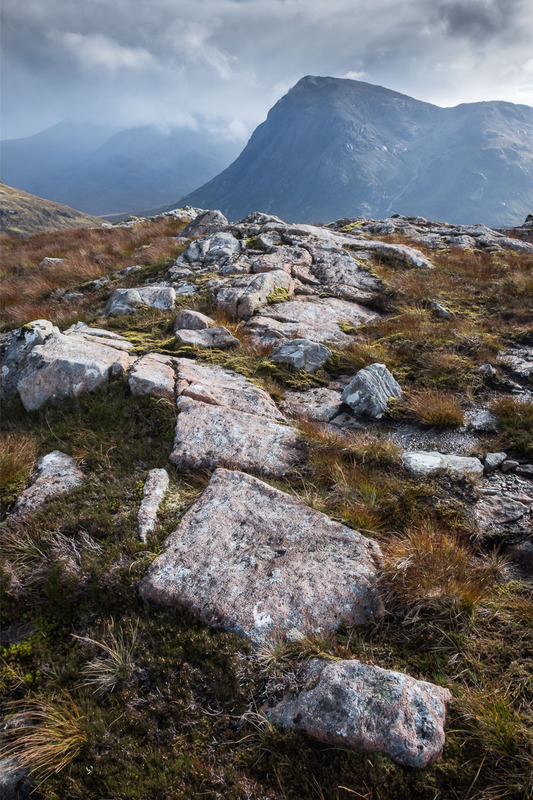 One of the best of these is Lagangarbh, which sits at the foot of Buachaille Etive Mor, beloved of landscape photographers on account of its classic pyramidal shape when seen approaching across Rannoch Moor from the east. We left Inverness early on Friday afternoon in reasonably fine weather, however by the time we reached the west coast it was raining heavily. 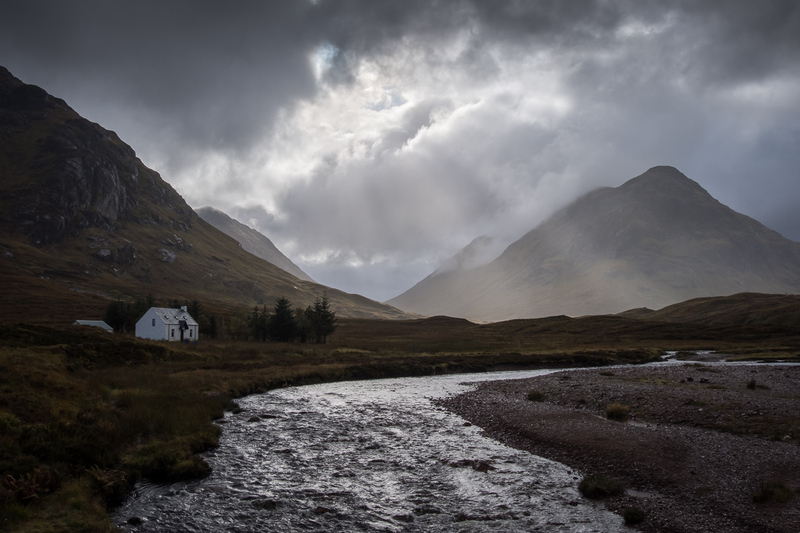 Fortunately, the weather had eased by the time we arrived in Glencoe and we managed to ferry all our gear and food across the footbridge and along to the hut without a major soaking. In fact, by five o’clock the weather had dried up completely allowing time for a wander along the side of the River Coupall. Although there was too much cloud for any kind of sunset, it was great to be out exploring our surroundings. We arrived back at the hut just as it was getting dark. Now I am not the kind of photographer who tends to plan an image in advance (or pre-visualise in the photographic jargon). I am more of the exploring type, reacting to what I see as I move around the landscape. 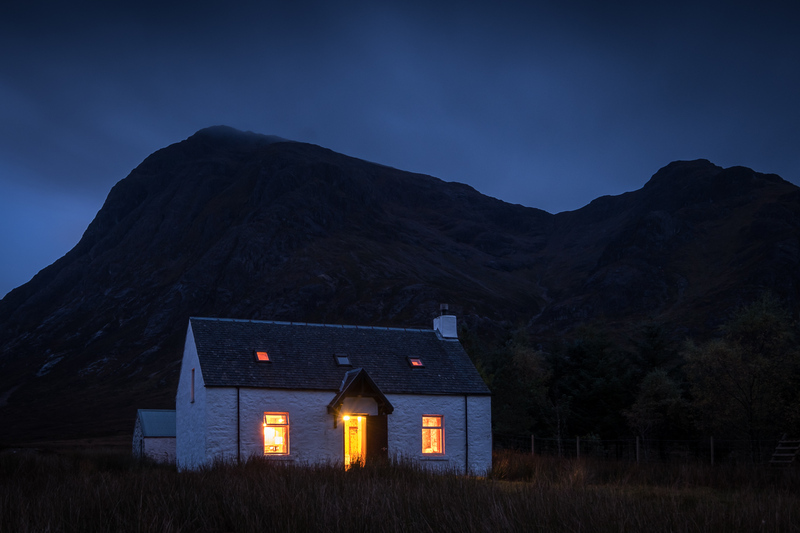 However, I did have this vision in my mind of an image that showed the hut at dusk with lights in all the windows and the front door open as a welcome to weary travellers, the dark shape of the Buachaille outlined against the sky behind. 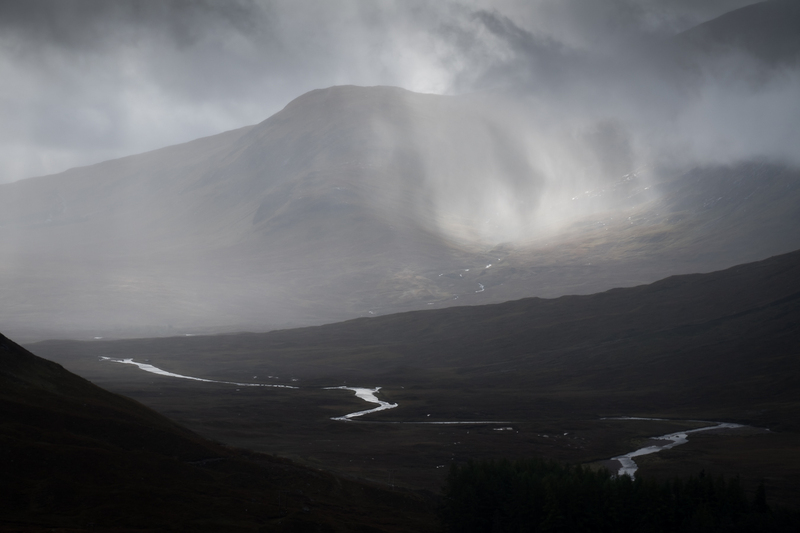 The following day the weather was forecast to be sunny spells and showers which sounded hopeful for some photography, though the rain seemed to be predominating as folk left the hut at 9am heading for various hills around the glen and further afield. I had decided to have a pure photography day on my own, as serious landscape photography and hillwalking with a group of companions do not often combine well together. I was in no hurry to set off in the rain, but by the time I had finished tidying the hut after breakfast, it was starting to ease off and seemed safe to venture out. 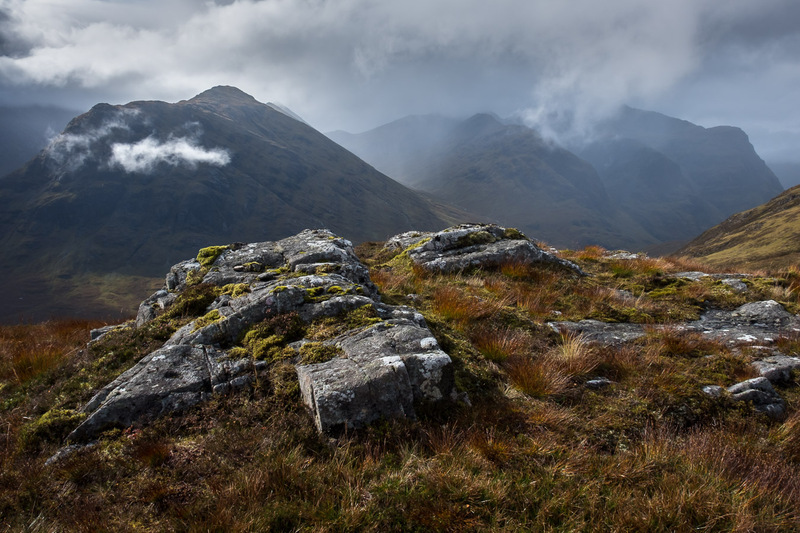 One of the favourite viewpoints with photographers around here is Beinn a’Chrulaiste, a rather undistinguished looking Corbett directly opposite the hut. 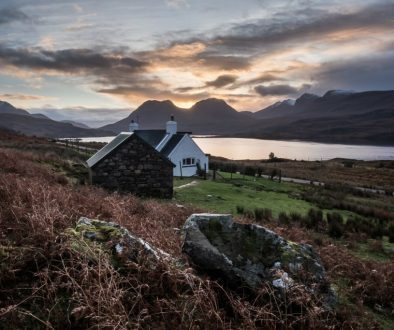 What it lacks in outward appearance however is compensated for by its position on the edge of Rannoch Moor and directly opposite the iconic mountain Buachaille Etive Mor. 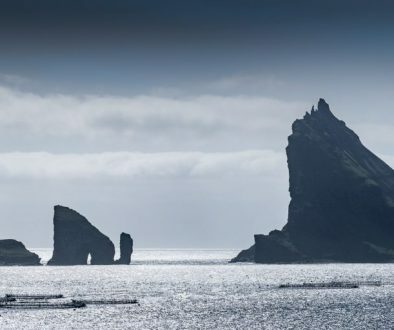 As a result, it has rightly become a popular spot with those photographers prepared to make the climb away from the more easily accessible roadside locations. It was also the hill on which I completed my round of the Corbetts one snowy December day a few years ago. 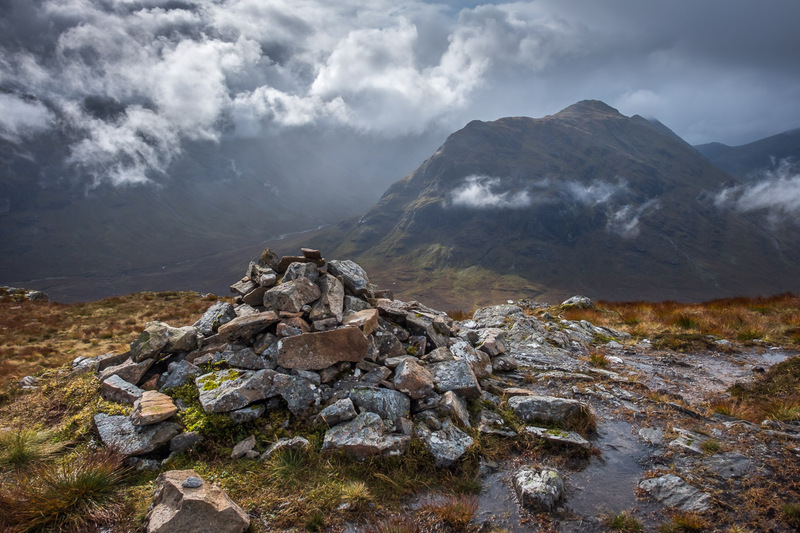 Today however, I thought I would try somewhere a bit different and set off up the Devil’s Staircase headed for Stob Mhic Mhartuin, a minor top just west of the highest point on the path over to Kinlochleven. 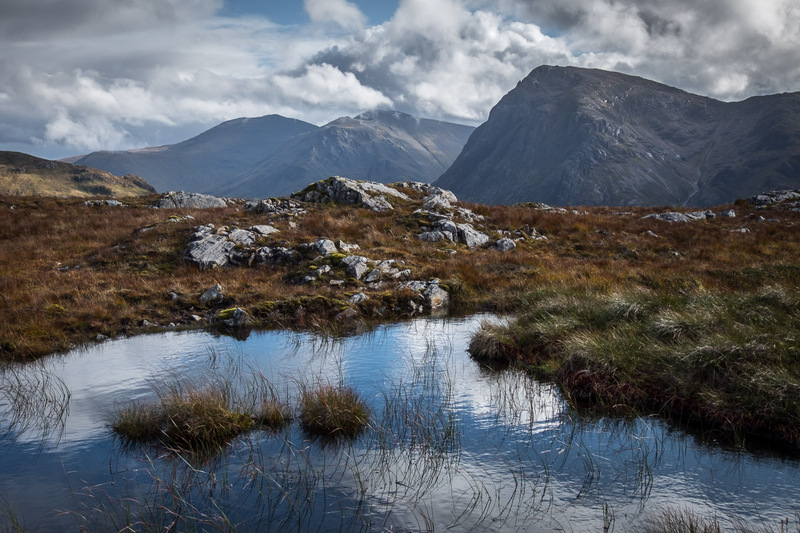 As well as being of interest because I had never been there before, it was also in a dramatic location directly opposite both the Buachailles Etive Mor and Beag and promised a view along Glencoe to the ridges of Beinn Fhada, Gearr Aonach and Aonach Dubh on the opposite side of the glen. I made steady progress up the well used track over to Kinlochleven, meeting travellers from many countries tackling the West Highland Way. The weather was continuing to improve and there were glimpses of sunlight catching the passing showers away to the east. I had thought that Stob Mhic Mhartuin would be a relatively unfrequented outpost so was surprised to see a clearly well used path heading off in that direction from the top of the pass. At least it made for relatively easy going over the rain soaked moor and indeed a few people followed me as I made my way towards the top. 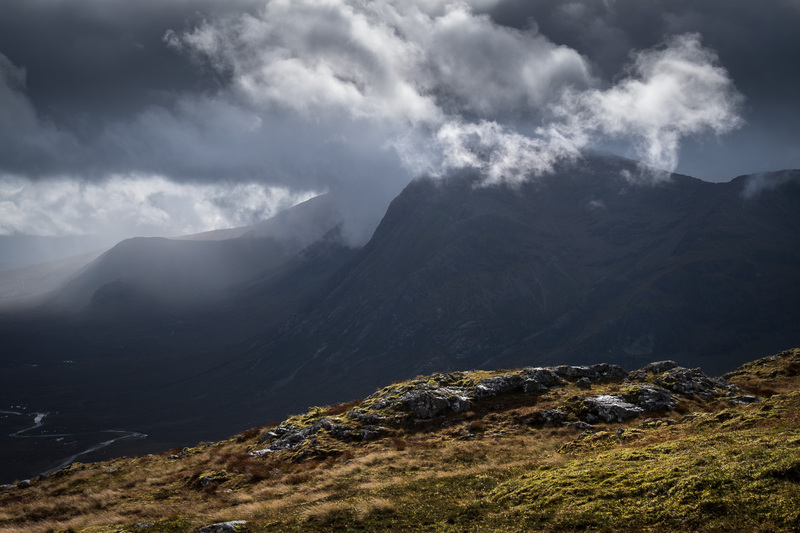 Nearing the summit, the views began to open up impressively and even the weather was playing ball as shafts of sunlight lit up the foreground with dark moody clouds enveloping the Buachaille and other nearby hills. This was photography heaven, the light and cloud patterns changing constantly as showers, cloud and sunlight followed each other in rapid sequence. I spent a full two hours exploring the summit area and immediate surroundings, seeking out different bits of foreground interest to combine with the constantly changing views of the mist shrouded peaks. By about 2pm, I felt I had seen enough and set off back down the path to the top of the Devil's Staircase. It was then that I noticed there was another minor top on the opposite side of the pass called Beinn Bheag. Nobody appeared to be going that way so I thought I would take a look. 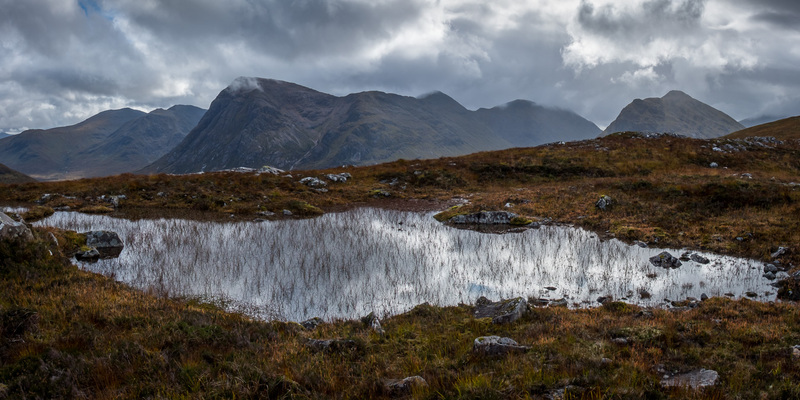 A somewhat fainter path led from the top of the pass and before long the camera was out again as a small lochan presented a beautiful foreground with both the Buachailles rising behind. I retraced my steps to the top of the pass and down the Devil's Staircase back to Lagangarbh. The day had been everything I had hoped for when I first saw that forecast for sunny spells and showers. The next morning was flat grey skies and continuous rain but that didn't matter. 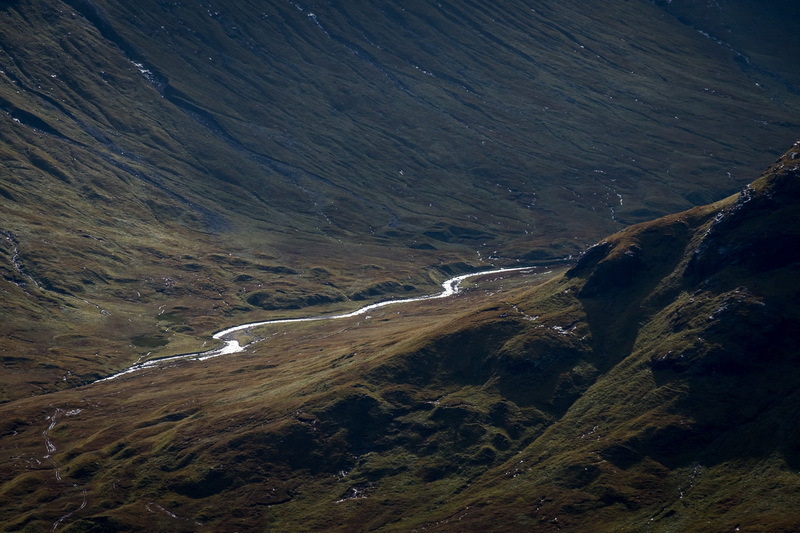 I drove north well content with my day exploring two of Glencoe's least celebrated tops.